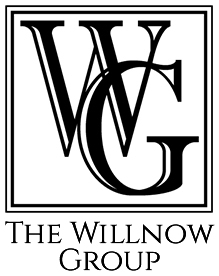 For more than 20 years the Willnow Group has been a leader in the Windward Community. Windward was envisioned over 30 years and has helped Alpharetta grow into the business and residential success it is today. Windward is a 3,400-acre private lake, mixed use community also featuring with one of the top golf courses in Georgia. Windward has a variety of home styles and price ranges from $200,000 to over $5,000,000. The beautiful Lake Windward, a 195 Acre private spring fed lake, offers its residents a plethora of outdoor activities. The community is benefited by some of the best public and private schools in Georgia. And the city of Alpharetta is known for its highly rated parks and recreation department, as well as for their fire/police effectiveness. Residents enjoy a large assortment of shopping (North Point Mall), restaurants, entertainment (Verizon Amphitheater) and recreational options. Strategically situated amongst the rolling, wooded hills of North Fulton County, Windward is in a class of its own. More than 2,400 families call Windward home. 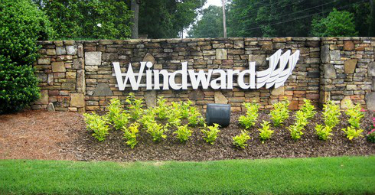 Windward is located just off Exit 11 (Georgia 400) in the city of Alpharetta, 15 minutes north of I-285, and less than 30 minutes north of downtown Atlanta. You can also be in the North Georgia mountains in approximately 40 minutes. Windward was designed for its residents to live, work and play without having to drive all over town. Its wide variety of neighborhoods and price points provide broad appeal and have allowed many residents to trade-up houses in Windward as their success has allowed.